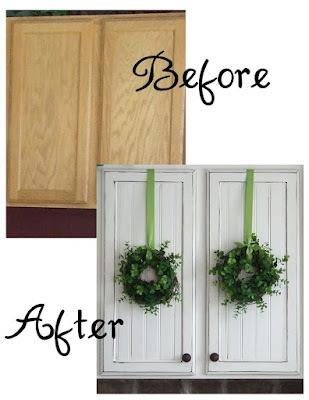 I've had this kitchen cabinet decorating idea pinned for some time - I really like these little boxwood wreaths. The ones shown below are a little too wispy for my taste, I'd prefer to see a neater wreath but I can't find a photo that shows exactly what I'm looking for. Boxwood wreaths are definitely something to add to my "Things to Look for in the After-Christmas Sales This Year" list. Speaking of kitchen cabinets, how about something decorative for the counter below? A lovely holiday platter would be perfect. I LOVE this platter! 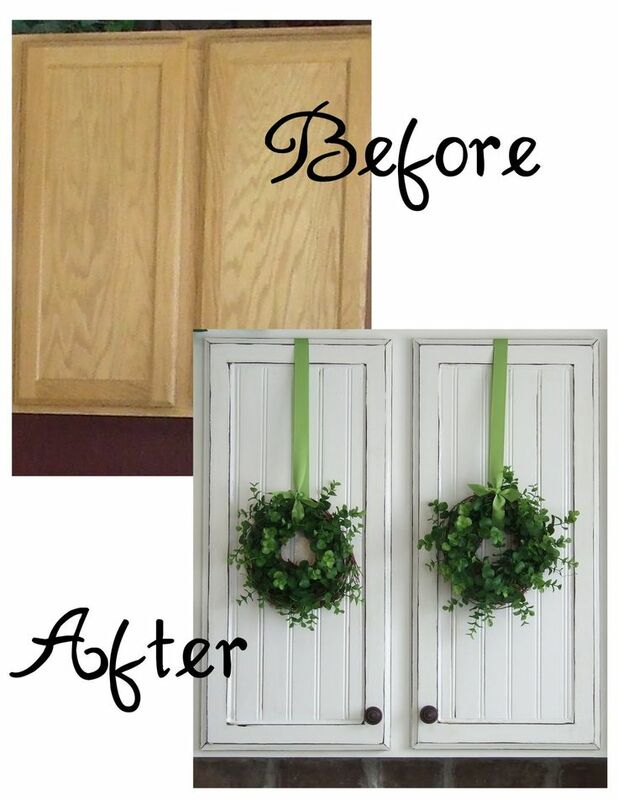 The wreaths would dress up the cabinet doors. If you wanted more of a country look could make little ones from grapevines or honeysuckle vine and hang with plaid ribbon. Love the platter - especially it's retro look. 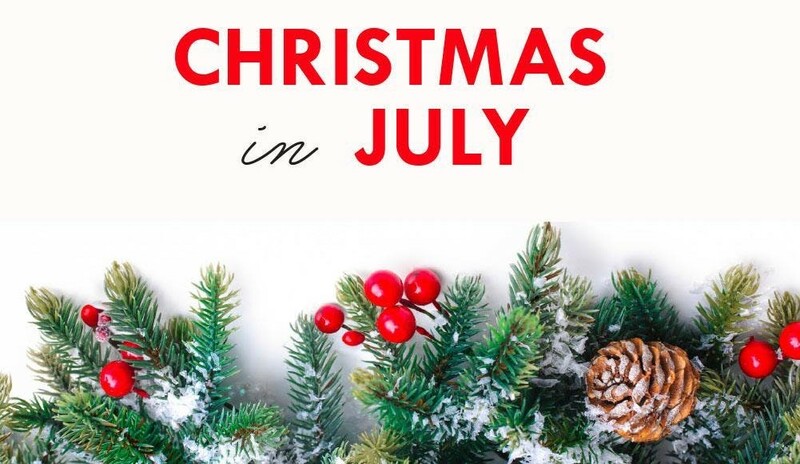 I currently hang stockings on my kitchen cabinets. I'd like to hang wreaths, but haven't found just what I want. 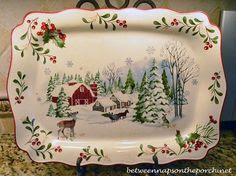 Wreaths are beautiful but the platter is awesome! Someone gifted me a platter in this same pattern. Mine has a car with a tree on top. I absolutely love it. 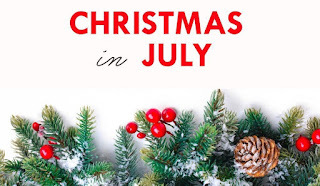 July Rudolph Day is tomorrow!